The life story of Ishi, the Yahi Indian, lone survivor of a doomed tribe, is unique in the annals of North American anthropology. For more than forty years, Theodora Kroeber's biography has been sharing this tragic and absorbing drama with readers all over the world. Ishi stumbled into the twentieth century on the morning of August 29, 1911, when, desperate with hunger and with terror of the white murderers of his family, he was found in the corral of a slaughter house near Oroville, California. 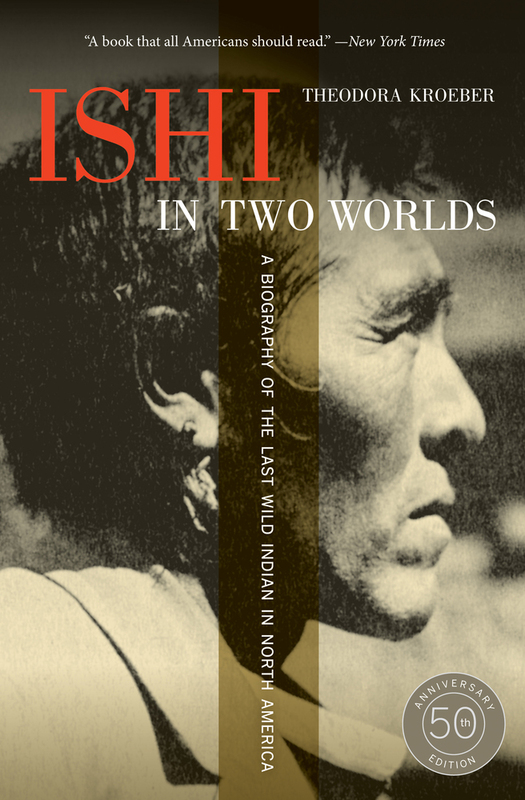 Finally identified as an Indian by an anthropologist, Ishi was brought to San Francisco by Professor T. T. Waterman and lived there the rest of his life under the care and protection of Alfred Kroeber and the staff of the University of California's Museum of Anthropology. Theodora Kroeber (1897–1979), wife of Alfred Louis Kroeber, is also the author of The Inland Whale (California). Karl Kroeber, son of Theodora Kroeber, is Mellon Professor in the Humanities at Columbia University and coeditor, with Clifton Kroeber, of Ishi in Three Centuries (2003). Lewis Gannett was a critic for the New York Herald-Tribune.